Let’s pull up a chair for some real talk real quick, okay? One of our core principles at Engaged is serving our clientele with the highest degree of professionalism, integrity, and quality. We strive to be the best because you deserve the best! Our experience in the wedding industry has taught us many things, but of all those important lessons we’ve gleaned through the years, we’ve learned that our couples need us to be their advocates in more ways than one. Being engaged to be married is one of the most beautiful phases of life, one marked by memories of love shared and visions of love to be shared. Everybody deserves to look back on their engagement — and, of course, their wedding day — with a gleaming eye and a happy sigh that it was just….perfect. Today’s hot take on wedding planning takes the cake — quite literally in fact! 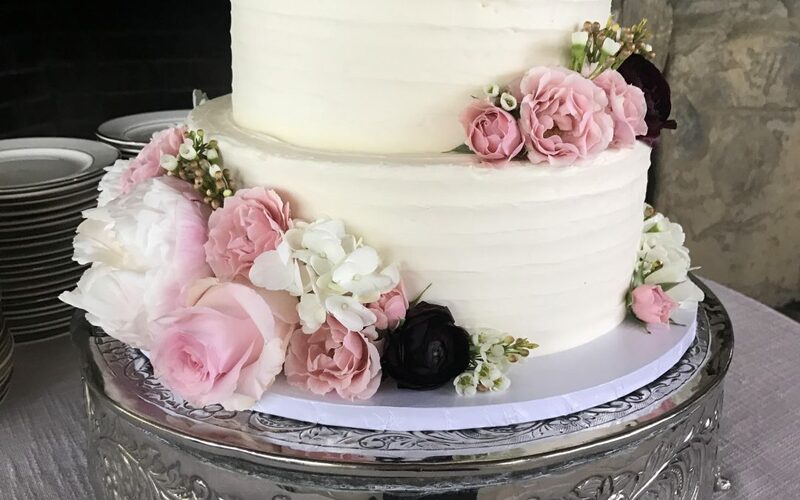 Our connoisseur of confections and decadent delights Heidi Smathers of Dogwood Designs Bakery is ready to spill the tea on what every bride and/or groom should know when selecting their wedding cake. When trying to plan your wedding, there is so much to think about, so many choices to make, so many details to get just right. With so many decisions to make — from the dress, to the photographer, to the flowers — couples can go from zero to stressed in a snap. One thing they can look forward to with happy delight is their cake tasting! How many times in life do you get the chance to taste an assortment of freshly-baked cakes topped with frothy icing because you “have” to? It’s always an incredible experience to meet with engaged couples and see them smile, laugh, and truly relish the moment…a moment that only comes when planning something as deeply meaningful and personal as their wedding. The first thing I want every bride to know when they meet with me is that it’s all about her and her fiancé, their vision, and their big day. When choosing any part of your cake, first consider your vision, your wants and what will make you the happiest. Yes, suggestions from loved ones are great and helpful, but in the end, you want to make choices that share your tastes and your ideal vision. I promise your guests will love it as much as you do if you follow your heart! Together, we can fill in how to make your dream come alive. 1 | Hire a professional baker. Sometimes you have to state the obvious, but it needs to be said. Please, oh please, let a professional handle your wedding cake! This is your ‘once in a lifetime’ and your cake should be as fabulous as your wedding day deserves! Visually speaking, a wedding cake display is very often incorporated into reception decor, if not the centerpiece and focal point of the entire room. It wouldn’t be an exaggeration to say that your wedding cake is akin to a work of art, to be admired and to inspire! As such, you need it to meet your standard. An experienced professional will be able to deliver a cake worthy of the occasion. 2 | Make a wish list. You’ve done your due diligence in hiring a pro, now you get to enjoy the fun part — dreaming up your ideal wedding cake design! 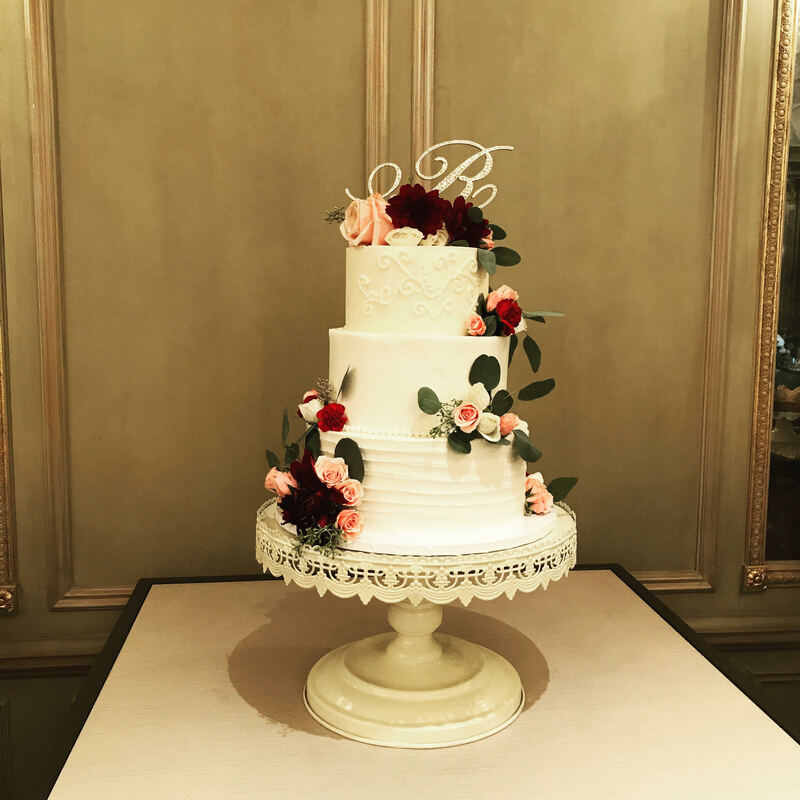 Is it that beautiful five-tier cake with crystal decorative elements and an elaborate floral cascade? Or is it a simple yet elegant buttercream cake with a decorative ribbon accent? Pops of color, flourished cake toppers, top-to-bottom ivory and pearls…you’ve got a lot to choose from, and the opportunity to tie in motifs from your overall wedding design and decor. Things you would never want in a million years! 3 | Easy on the Pinterest. Time for some more real talk: nothing garners more love/hate within the wedding industry than Pinterest. Mostly we love it (it inspires us, too!) but it does have the tendency to blow expectations out of proportion with reality. That leaves us with some hard conversations to have with sweet brides and grooms who had their heart set on something that just isn’t in the cards for one reason or another. When you choose a cake off of Pinterest, understand that unless you contact that exact baker, you likely won’t be getting that exact cake. This is due to varying skill levels, availability of product, and an artistic integrity to create something unique. Am I telling you not to use Pinterest? Absolutely not! Find cakes that you like and feel inspired by, but don’t tie yourself to a carbon copy replica of a cake. This will allow your baker to put their creativity to good use to design something unique to you and your soul mate. That usually makes a bride feel pretty dang happy! 4 | Be upfront about your budget. Speaking of happy, while every bride deserves the cake of her dreams, you must keep in mind the reality of your budget. Let’s just say this and get it out of the way: your cake and your budget have to align. Set real goals for your baker. 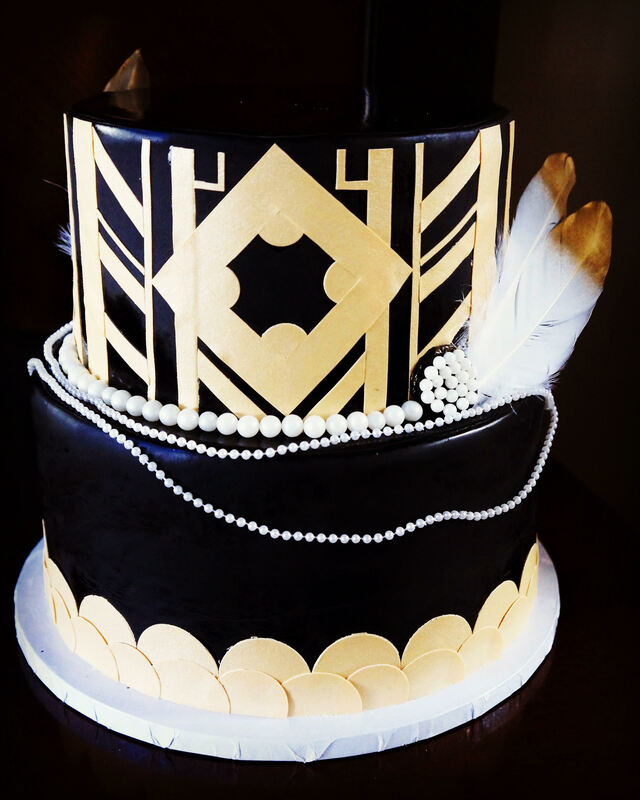 A five-tier cake for $200, including delivery? That’s not realistic. To be honest, most bakers would have a hard time creating you a cake worthy of your (and their) standards into that small of a budget. Hold on! This is not to say that every bride and every budget can’t have a cake! On the contrary, I firmly believe that there is a way to fit a beautiful wedding cake into any budget, but it may take some alterations to your original vision. In order to avoid heartbreak over finding out you can’t afford your dream cake, just be upfront with your baker and be honest about your budget. By being open and honest about your cake budget, you allow your baker to design something that can fit your dream and your budget. Be prepared to make concessions and be open to suggestions. 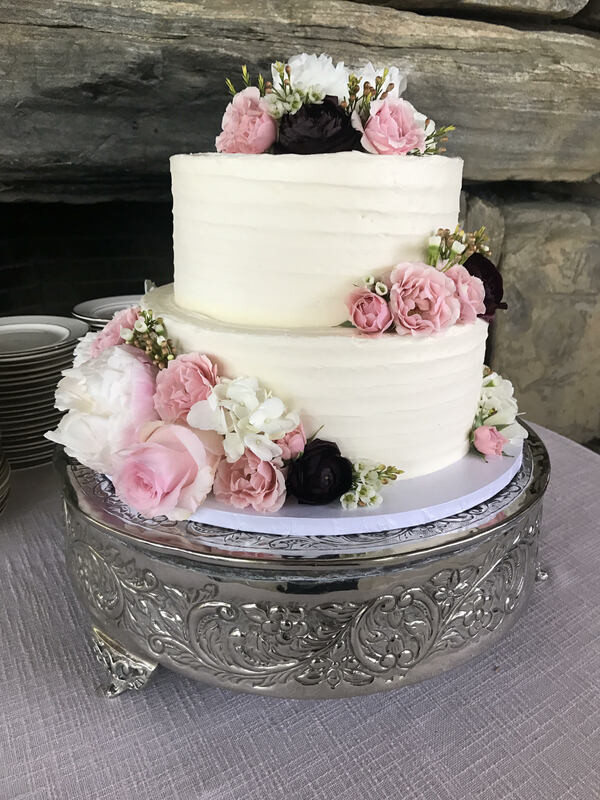 Use the wealth of knowledge that your baker has to help guide you through the process, and ultimately you’ll end up with both a good deal and a great wedding cake! 5 | Communication is key. Wish lists, inspiration boards, creative visions, and budgets…for any of that to matter, you must have quality, clear communication with your baker (and with all of your wedding vendors, for that matter). Communicate with him or her often. Start out by setting up a consultation or tasting to discuss what you envision for your day. Once you’ve all honed your vision into a particular design, your baker will likely have you sign a contract outlining the terms of your agreement. Contracts not only protect all involved parties, but they are an indicator that your baker is a true professional. When reviewing your contract, make sure you notice dates, fees and expectations. Understanding time lines and pay schedules is crucial to keeping your wedding cake delivery on track and your budget in the black. For example, if final payment is due three weeks prior to your wedding day, mark that on your calendar and be ready for that upcoming payment. This is a protection for baker and bride just in case an issue were to come up. Feel better already? Knowing what to expect when planning all the aspects of your wedding is tremendously helpful in eliminating stress and fear that it won’t be every bit as perfect as you deserve it to be. We’re always here to lend an honest voice to an open ear…and to help you create and enjoy the wedding you’ve always wanted! Heidi Smathers is owner and Baker at Dogwood Designs Bakery. 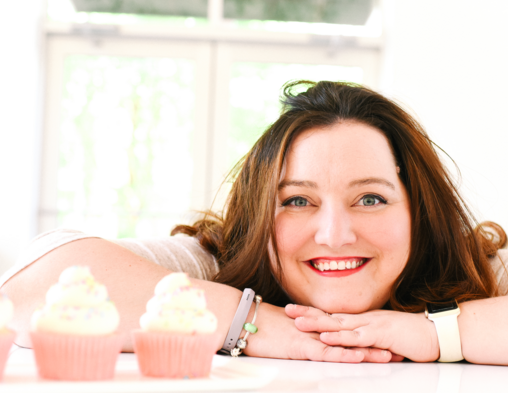 Her passion for baking has grown since a young age and developed into serving cakes and cupcakes for the last five years for all of life’s fun events. She takes pride in making sure that all her ingredients are fresh, and that every item is made with close attention to detail. Cakes are more then just their ingredients; they’re an opportunity to showcase style and creation in a way that can tingle the senses. 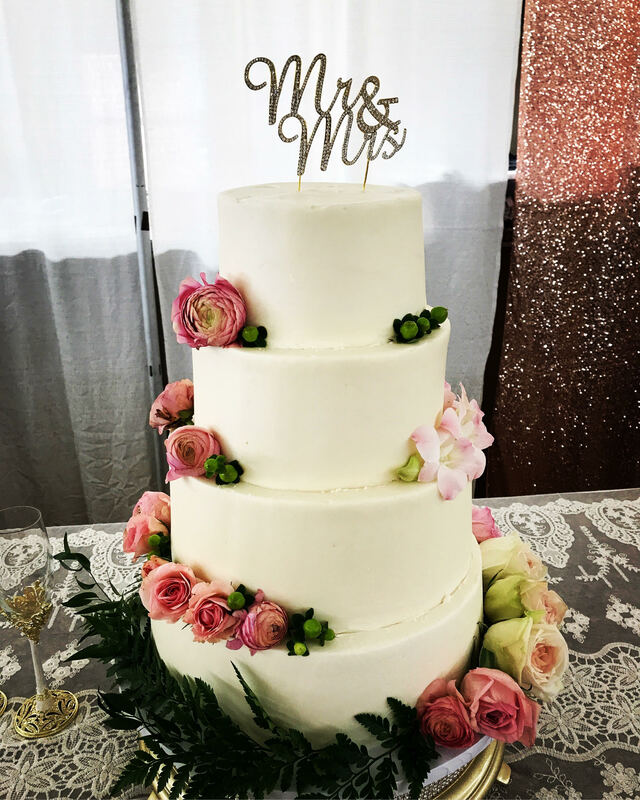 Whether your dream is to have a lavish wedding cake that is a piece of art, or you want a simple cake to cut served alongside fun cupcakes, Dogwood Designs Bakery can help make your sweet dreams come to life. To learn more about Dogwood Designs Bakery or to contact Heidi, please visit their website. I agree, communication really is a key factor to look for when choosing a bakery to produce your wedding cake. After all, the wedding cake is an important part of the wedding reception. Because of that you want to make sure that they can meet your expectations and have the skill to create the cake you want.